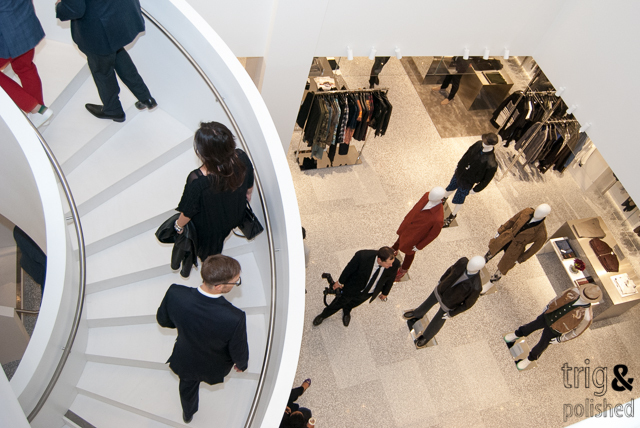 We attended the store opening party for the new Barneys New York Men’s Store over on 2 Stockton Street, formerly The Ferrari Store. There was no lack of well-dressed men as it was a Trig & Polished gold mine. Draymond Green of the Golden State Warriors was the guest of honor and he looked sharp as well. It’s a beautiful store with lots of high end merchandise… as if you’d expect anything less from Barney’s. 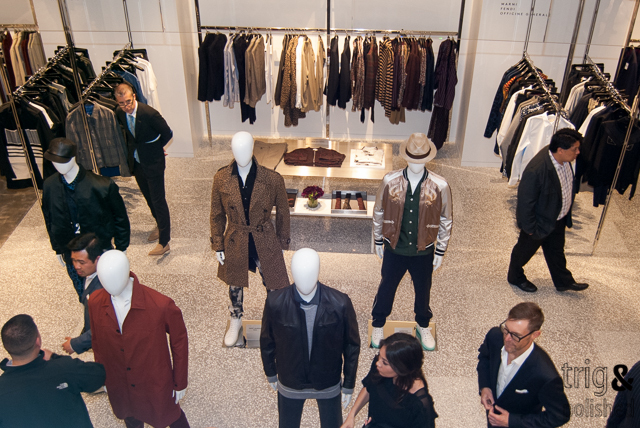 The stand alone Men’s store is an exciting addition to San Francisco and the menswear scene. 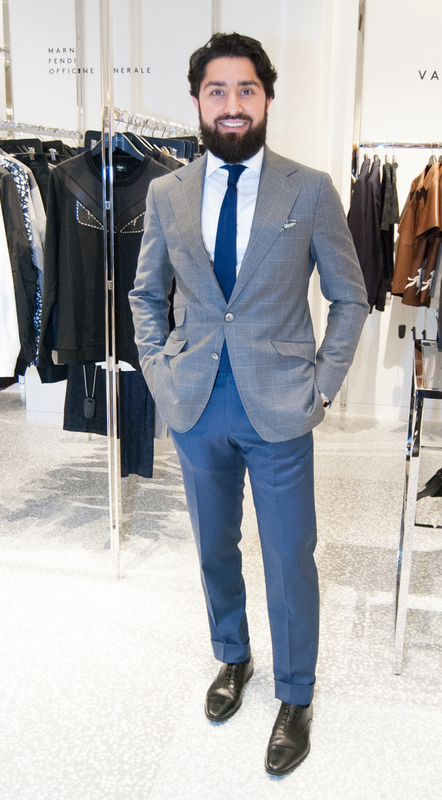 I expect to see more amazingly dressed men because of it. 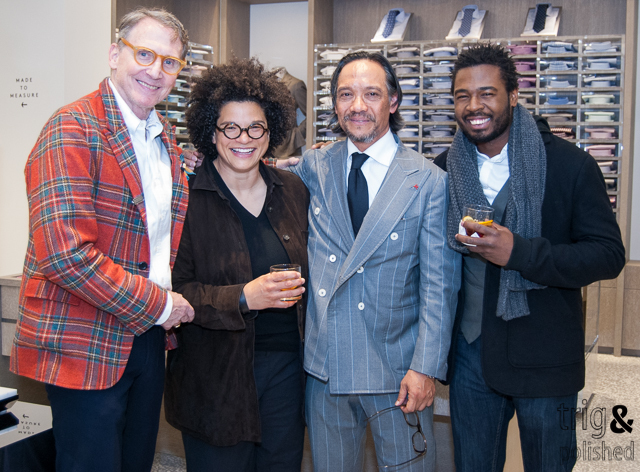 Check out some of the dashing men that I spotted at the party. 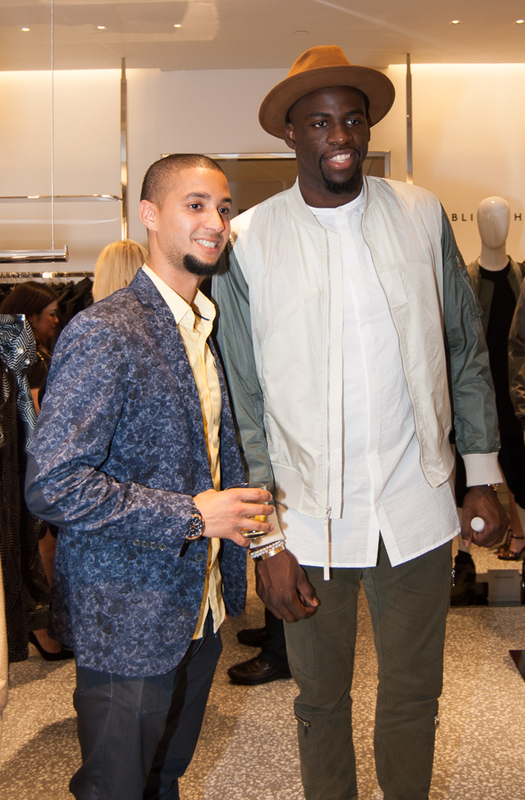 Guest of Honor, Draymond Green of the Golden State Warriors and a stylish fan. 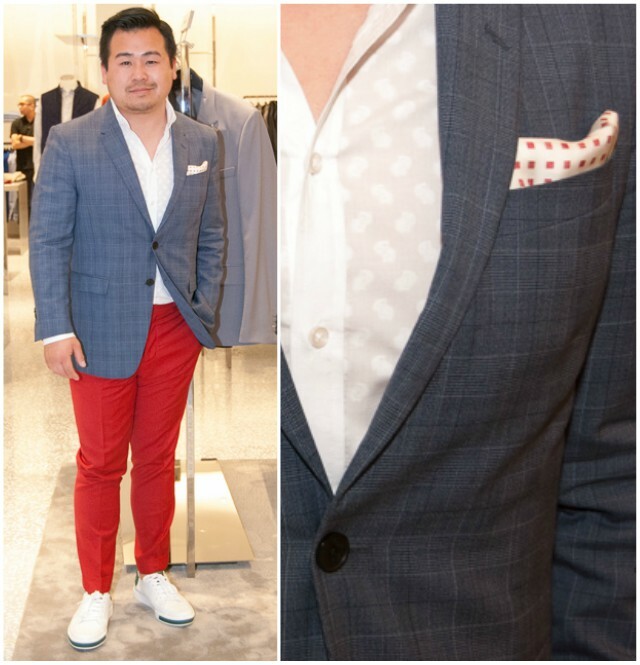 Wei Xu’s red pants caught my eye and then that pocket square sealed the deal.